The Upcycled Art Exhibited debuted at the inaugural Art of Winter on Larimer Square in January 2011, and remains an anticipated annual exhibit of Art of Winter. The pieces featured in the Upcycled Art exhibit are created by Colorado artists on non-traditional canvasses of recycled snowboards. Upcycling is the process of converting old or discarded materials into something useful and often beautiful. The “canvasses” are created from and snowboards donated by SIA’s SnowSport Recycling Program and Specialty Sports Ventures. Each year a different theme is presented to the artists who create original works based on their interpretation of this. 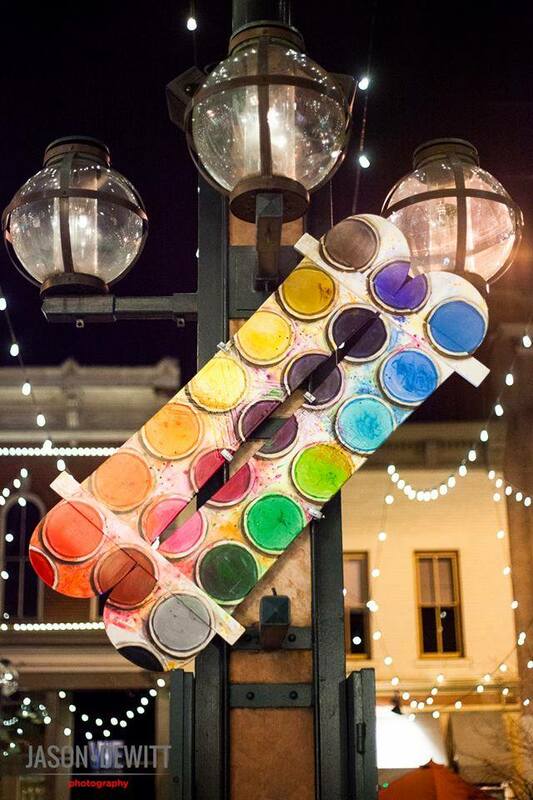 The 2015 Upcycled Art theme is GOLD, in recognition of Larimer Square’s 50th anniversary. November 2, 2015 in Events, Paintings.